In Metro Manila, Philippines Mich & Myl Nails first opened it’s door to public established as the first most advanced nail salon specializing in Gel nails in 2011. Founded by Mylene C. Flores, Mich & Myl Nails salon and spa provides the utmost in professional nail painting and nail extension services, with extensive trainings in Tokyo Japan, America and Hong Kong. The passion about the process of beautifying nails and the love of organic spa treatments, gave Myl the challenge to continue her nail journey through further education and practice of more advance nail beautification techniques, keeping up-to-date on the latest style and trends also put Mich & Myl Nails salons ahead of the class.Our services reached across borders and meet the needs of both Filipino and foreign customers. At Mich & Myl Nails we value sanitation and cleanliness, we aim to provide the highest satisfaction and put a smile on all our customers faces. Mich & Myl Nails is designed to satisfy our every clients needs, aims to bring pampering to a different level, it is a haven of relaxation that promotes comfort, beauty, well-being and health. 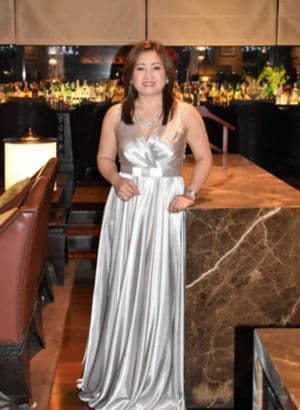 A premiere luxury nail salon and spa in the Metro and a world class services within your reach, Mylene said. Providing a healthy nail care services and products that consistently meet the expectations of our customers in a sanitized and clean setting. To provide personal customer service to our clients. The friendly, knowledgeable and professional staff will give the best service while maintaining a high standard in nail care. Please call or visit our salons for more information on how we can make your fingernails more stronger and beautiful.